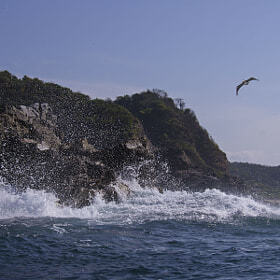 This photo was taken on a boat trip for wildlife along the coast of the state of Oaxaca (Mexico) on December 27th, 2014. 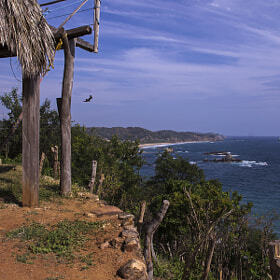 View from cabanas in Mazunte (Oaxaca state, Mexico) across the Mazunte bay (Pacific Ocean). 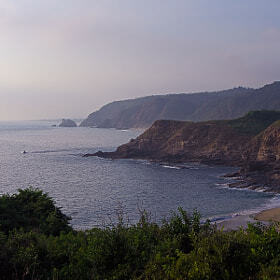 This is a HDR re-edit of the photo of the Pacific coast near Mazunte (Oaxaca state, Mexico), I uploaded earlier. Best viewed on a black background. 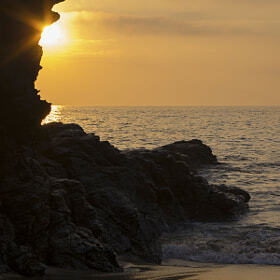 The rocks near "Punta Cometa" at the Pacific coast of Oaxaca (Mexico) illuminated by the settling sun. Mountain ranges in the state of Oaxaca (Mexico), taken from the bus. This is the Meteorite Impact Crater at Soshanguve in the Winterveld region of South Africa (N of Pretoria) caused by a 50 m stony meteorite (chondrite) 220,000 years ago. 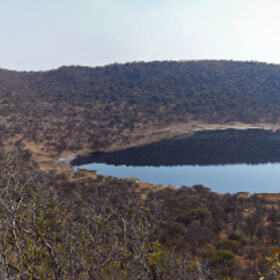 The crater is called "Tswaing Crater" or "Pretoria Saltpan" and is 1.13 km in diameter. In the crater there have been found stone tools and weapons dating back to the Middle Stone Age (150,000 to 30,000 years). 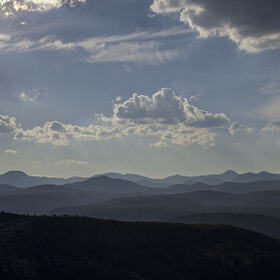 This is a view from the southeastern rim towards the Northwest across the western flank. Unfortunately I had only a compact camera with me. Note: Licensed under CC with attribution, for noncommercial use and without modification. 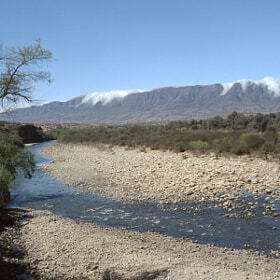 Clouds coming from the east ponded at the Eastern Cordillera between Padcaya and Uriondo, southern Bolivia. Note: This image was scanned from a slide with Hamrick Vuescan on a Reflecta Crystalscan 7200 (Primefilm PF 7250 U). This dam was build with the help of the German Development Bank (KfW) near Culpina in the Eastern Cordillera of Southern Bolvia. Note: This image was scanned from a slide with Hamrick Vuescan on a Reflecta Crystalscan 7200 (Primefilm PF 7250 U). 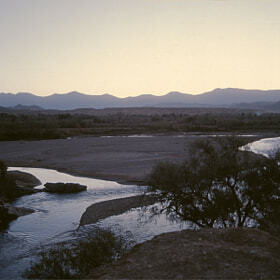 Landscape view after sunset or the river bed of Rio Guadalquivir at Tomatitas, north of Tarija, southern Bolivia. Note: This image was scanned from a slide with Hamrick Vuescan on a Reflecta Crystalscan 7200 (Primefilm PF 7250 U). Most of the Mexican caribbean cost (the "Riviera Maya") is plastered by hotels and resorts. 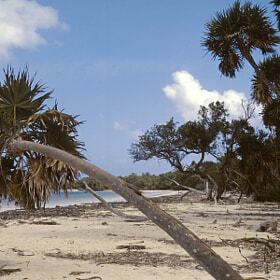 To find a virgin caribbean beach you have to go to the Sian Ka'an biosphere reserve south of Tulum. Note: This image was scanned from a slide with Hamrick Vuescan on a Reflecta Crystalscan 7200 (Primefilm PF 7250 U). 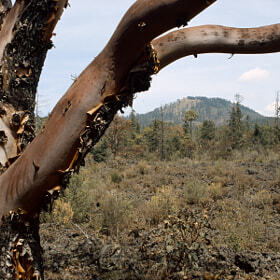 The eastern flank of the volcan Chichinautzin south of Mexico City seen through a burned tree. The tree, ferns and moss is growing on a lava field. I uploaded two versions of this photo bexause I can't decide. I'll keep the one with the higher pulse... Note: This image is scanned from a slide with Hamrick Vuescan on a Reflecta Crystalscan 7200 (Primefilm PF 7250 U). 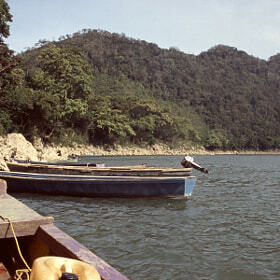 On a boat trip on the river Rio Usumacinta in the states of Chiapas and Tabasco (Mexico). Note: This image was scanned from a slide with Hamrick Vuescan on a Reflecta Crystalscan 7200 (Primefilm PF 7250 U). 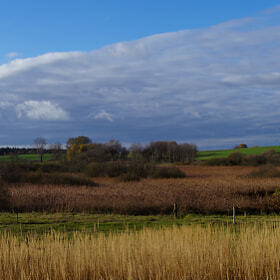 This panorama shows a fen or bog in the Uckermark of northeastern Germany. 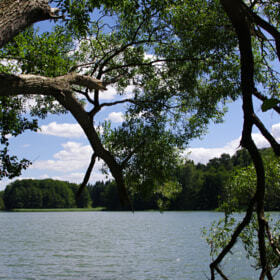 The Uckermark is traditionally the northeasternmost landscape of Brandenburg. This area here belonged to the heavily faught border region between Brandenburg and Pomerania and now lies in Pomerania again, while most of the Uckermark is part of Brandenburg. The undulating landscape was formed by the glaciers of the last ice age, while such fens usually developed from the meltdown of buried ice. A lake or fen ("Bruch") formed after the retreat of the glaciers. 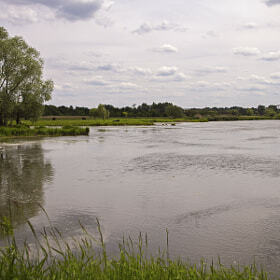 In GDR times this particular fen was drained but now it is reinstating again... The photo was taken in November from the village of Bismark, close to the now open border with Poland. 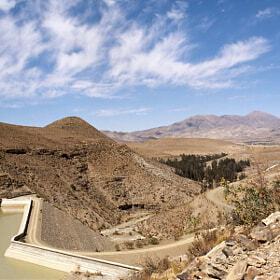 Note: This panorama is composed of two photos with different focal length. Even after correcting the photos for lens errors the fit was still quite bad. But hugin is capable of miracles! Upon request I could send a sample of the stitching line... Max. resolution is 5474x2246 px. 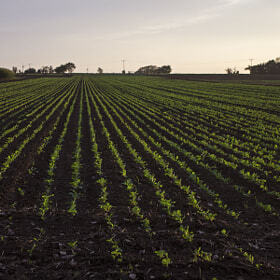 View of a wavy field of recently sown corn (maize) in the northernost Uckerark (Pomerania, Germany). The soils are quite poor in this region: To the right you can still see brown soil while to the left it seems to be heavily degradated. This is due to the very sandy substrat of the undelying glacial deposit and the undulating relief... 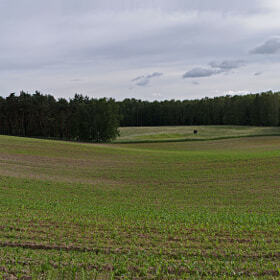 Note: This panorama was taken horizontally (landscape) and stitched with the free software "hugin". A test field of the agricultural section of the University of Applied Sciences Anhalt near Bernburg-Strenzfeld (Saxony-Anhalt, Germany). An idyllic scene of the Oder river banks near Jeszkowice and Czernica (formerly Jäschkowitz and Tschirne) in Silesia, Poland. At the trees to the left there was formerly a ferry across the Oder starting. Click on the image for a black background. A landscape view in the Himalayas at Jomsom, north of the main mountain chain. 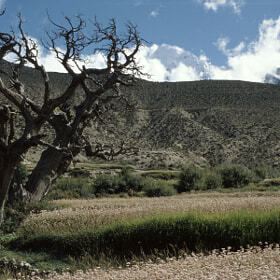 The fields are buckwheat and the tree is one of the last standing in this area which was heavily affected by deforestation. The mountain peak in the background is the Nilgiri North of the Annapurna Hial, 7061 m high. - see also my story - Note: This image was scanned from a slide with Hamrick Vuescan on a Reflecta Crystalscan 7200 (Primefilm PF 7250 U).